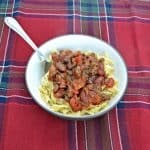 It’s another beautiful summer day outside and it’s time for another CSA recipe! 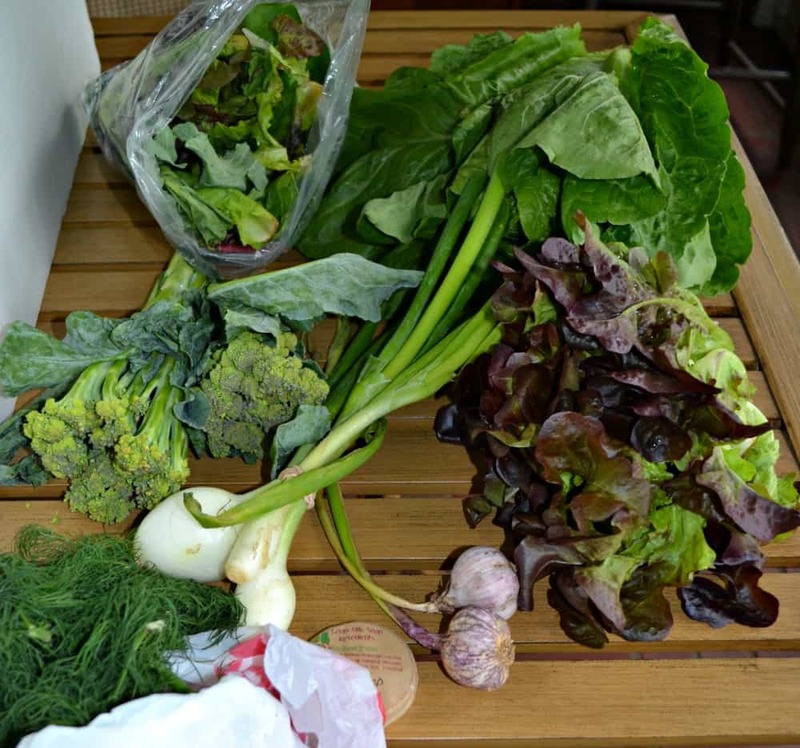 This week in our CSA we received romaine lettuce, red leaf lettuce, and a mixed bag of lettuce. We also recipe a bunch of onions, dill, broccoli, and garlic. It was a pretty good week since we love everything we received. Since we got so many different kinds of lettuce I knew we were going to have to have a few entree salads this week. I made an easy Asian chicken salad earlier in the week. 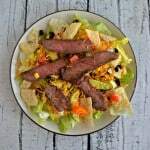 We had a London Broil for dinner last night and since there was still almost a pound of it left over, I thought steak salads sounded good. 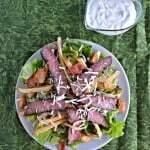 Now, I love my steak and chicken salads with fries on them. I think it comes from living in Pittsburgh. So many restaurants serve their salads with fries on them. 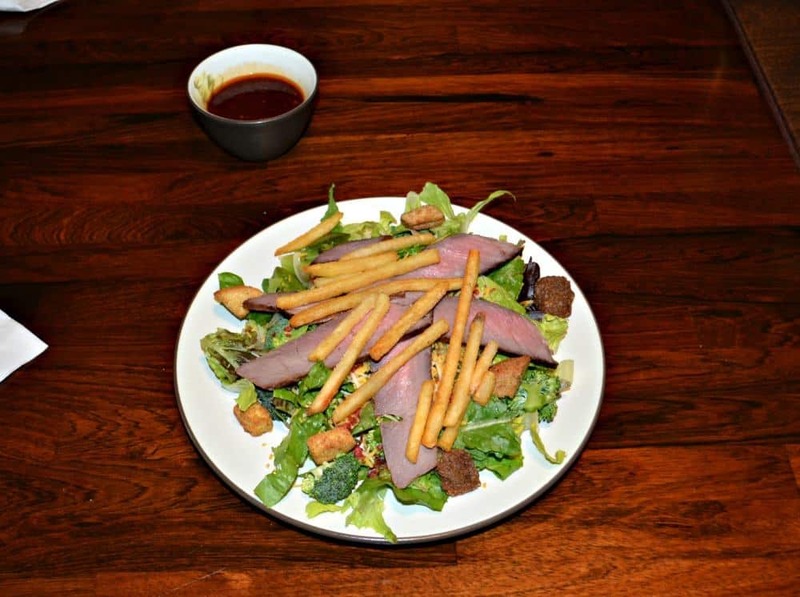 Have you ever had fries on your salad? Delicious! I used all of the lettuce to make a bed of mixed greens for our salads. I took two of the onions from the CSA, along with a green pepper from my moms CSA, and I sauteed them to go on top of the lettuce. Then I mixed in some of the broccoli and some carrots I had. It’s a simple and tasty base for the salad. Then I cooked some skinny french fries and lightly reheated the steak. 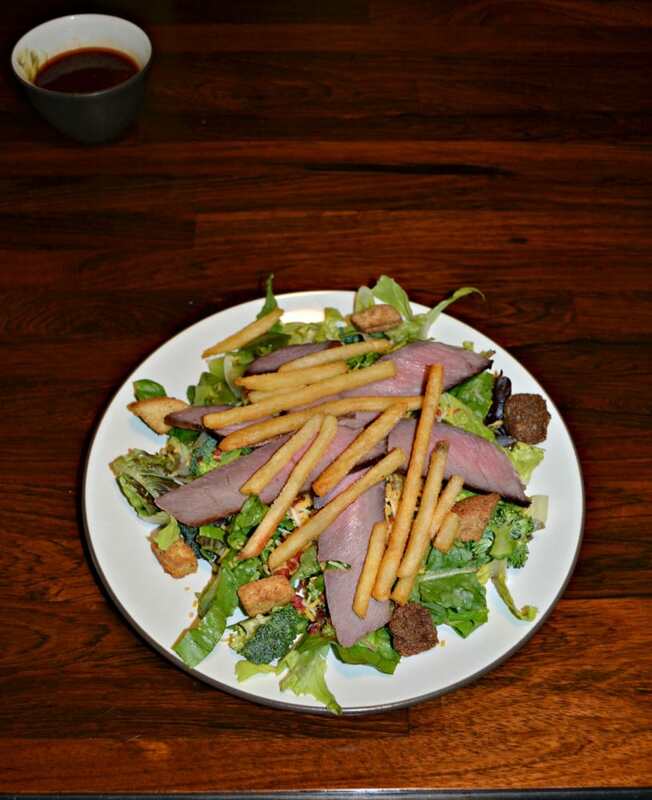 I sliced the steak thin and put it on top of the salads. For the dressing, I used the leftover marinade from the steak we made. It’s a soy based marinade and I just added some vinegar and oil to it to turn it into a dressing. The salad ended up being very tasty, fresh, and filling. The fries and steak gave it the “meat” it needed to fill us up. This is definitely one of my favorite salads. 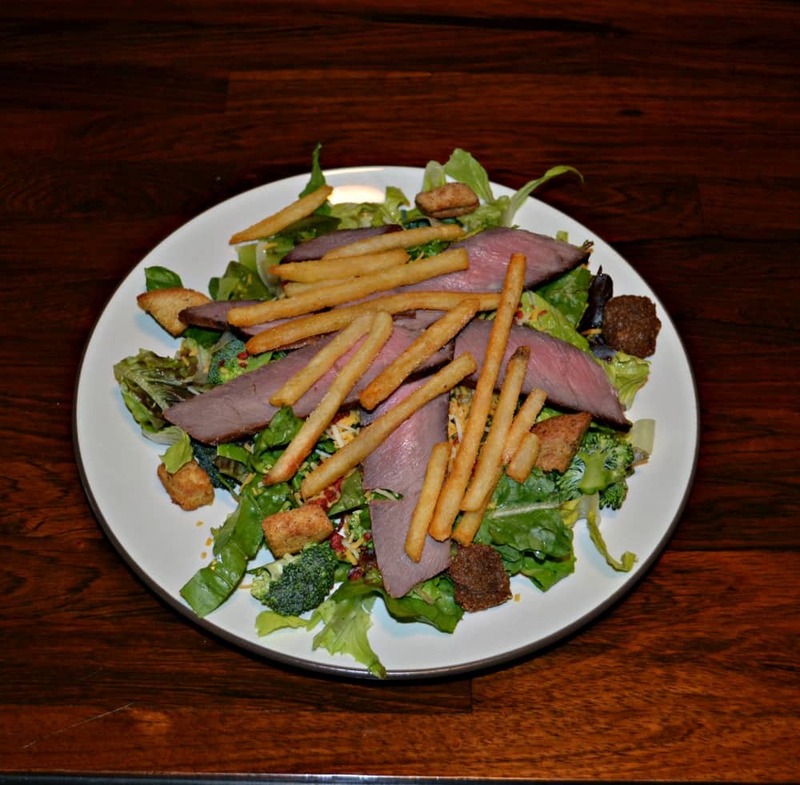 A tasty entree salad made with steak, fries, fresh vegetables, and a homemade soy dressing. Divide the mixed greens between four plates. Heat the olive oil in a small skillet and add the peppers and onions. Saute for 5-6 minutes or until they are soft. Divide the onions and peppers between the four salads. Divide the broccoli, carrots, cheddar cheese, and croutons between the four salads. Top with sliced steak and hot french fries. To make the dressing, whisk all the ingredients together in a small bowl. 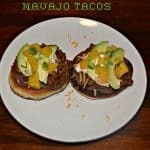 Serve with the entree salads.